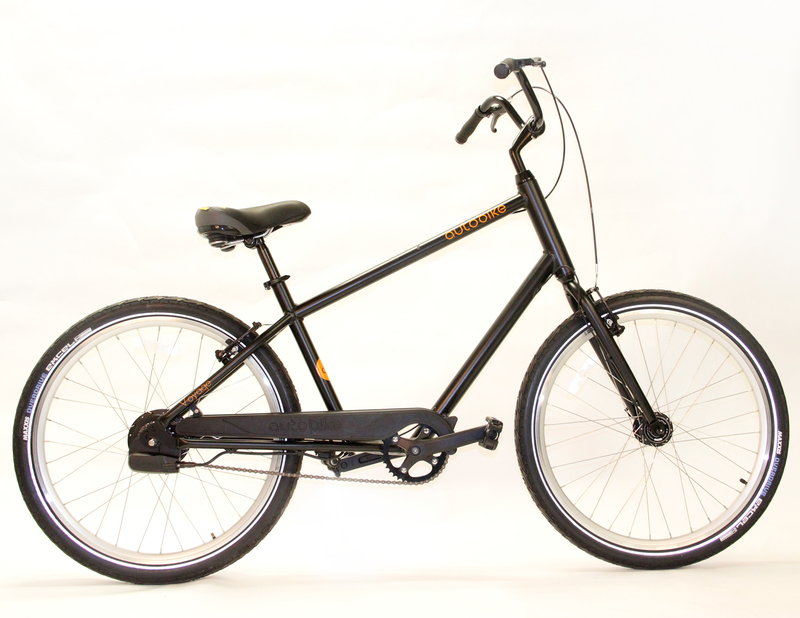 SAN DIEGO, CA — February 28, 2013 – AutoBike, Inc. and Fallbrook Technologies Inc. (Fallbrook) have announced that AutoBike’s new Voyage auto-shifting bicycles will be equipped with Fallbrook’s award-winning NuVinci N360 continuously variable transmission. AutoBike’s shifting system senses the changing road conditions — whether climbing a hill or pedaling on a straightaway — and will seamlessly auto shift through an infinite number of effective drive ratios within the NuVinci CVP’s wide 360 percent range. The Voyage will be available in Standard and Step-Through (ST) cruiser-style frame configurations. The AutoBike Voyage/Voyage ST MSRP is $1,000 and will be sold directly to consumers at www.EvolveTheBike.com. To learn about the NuVinci N360 drivetrain, visit www.nuvinci.com. Headquartered in Troy, MI, AutoBike, Inc. is designing and building automatic shifting bicycles that feature their proprietary shifting system and the NuVinci N360 drivetrain. In addition to the Voyage, AutoBike is working on commuter and mountain bike models. For more information on AutoBike, visit www.evolvethebike.com. Fallbrook’s NuVinci® continuously variable planetary (CVP) technology, a new class of continuously variable transmission, improves the performance and efficiency of machines that use a transmission, including bicycles, electric vehicles, automobiles, agricultural equipment, wind turbines and others. NuVinci technology offers companies the flexibility to design and produce next-generation products that are better tailored to their unique business, market and competitive requirements. For the bicycle industry, NuVinci technology continues to enjoy rapid adoption as the drivetrain of choice for many city and e-Bikes, with NuVinci technology (N360 drivetrain or the Harmony™ auto-shifting system) included on more than 70 international bicycle brands encompassing upwards of 200 models.